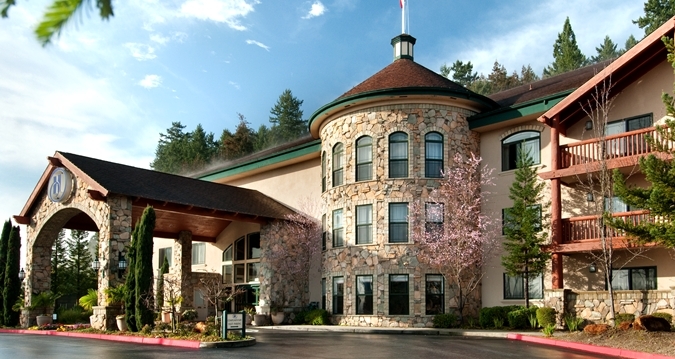 The 2019 IPPS Western Conference will be held in beautiful Northern California at the Hilton Santa Cruz/Scotts Valley. Come and listen to a great roster of speakers who will provide insights into what is being done in other parts of the US and in different countries. Learn how new plants are discovered and find out how they get introduced into the market, from original concept through development of offshore stock plant production. We will also present the latest in chemical and biological control of diseases and insects. Dr. Charlie Hall, Professor and Ellison Chair at Texas A&M University, will discuss where the economy is heading both now and in the future.We all need to stay relevant in a quickly changing business environment. Dan Hinkley, international plant explorer, will talk about collecting new species from other countries and the obstacles he faces on each plant exploration. Chuck Pavlick, new plant director for Terra Nova Nurseries, will give us insight on creating new plants from concept to breeding to commercial introduction. Gary Cortes from Flow Vision will help us understand how to eliminate unneeded steps and reduce waste and explain in detail how FlowVision develops processes to provide more efficiency in production operations. Dr. Ann Chase of Chase Research, and Dr. Karen Robb and Dr. Jan Hall of Target Chemicals, will give us insight from their research and experience on the most effective chemical and biological techniques for controlling plant pathogens and insects. Dr. Michael Lok, Professor at UC Santa Cruz, will present his solar greenhouse and its potential for the future of greenhouse production. Randy Baldwin, President of San Marcos Growers, will discuss Mediterranean plants and the potential they hold for our arid California landscapes. Richard Anderson from Utah State University will share his adventures collecting cold-hardy native plants from Idaho, Utah, and Colorado. As we enter a new climatic environment, we will have to rethink how gardens will look in the future. At the end of the sessions, we will have a question-and-answer period to enhance our understand of these topics and how they can be applied to your production operations. In Northern California, we are very fortunate to have a diverse group of companies and growers that are leaders in their field. Monterey Bay Nursery: unique nursery grower of Australian, Mediterranean, and South African flora. 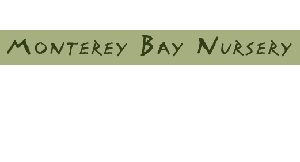 Monterey Bay Nurseries will be hosting us for dinner on Friday night, so you will have an opportunity to discuss their plants with the owners and staff. Floricultura: This is a highly automated greenhouse operation producing orchids. We will have a firsthand view of the systems and processes that help them run this greenhouse with a very minimal staff. 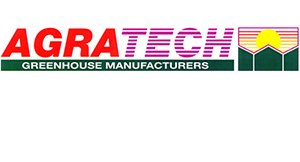 Kawahara Greenhouses: Kawahara is a third generation, Top 100 greenhouse operation. They produce bedding plants, perennials, succulents, and holiday crops at two production sites. They just completed a new 4-acre, open-roof greenhouse and have installed a new AutoStix sticking machine to help them keep up with millions of cutting stuck throughout the year. Pacific Plug and Liner: This is another Top 100 greenhouse operation and the propagation division for Smith Gardens. We will view their new sticking line with the Growcoon propagation tray and their new ISO robotic sticking machines. Four Winds Growers: This fourth-generation nursery operation produces citrus at multiple growing sites. If you ever wondered how citrus is grown from seed to finished product, this is a must-see operation. The Dillon family, owners of the company, have been involved with IPPS for many generations, with Lexa Dillon being our current Director for Northern California. Berger Mixing Facility: We will get a behind-the-scenes look at how Berger mixes their media for different customers, and learn the details involved in producing a consistent product day in and day out. Their staff will also be on hand to answer any questions about the other peat-based products produced under the Berger brand. Berger will be hosting us for lunch after the tour. Sakata Seed: Based in Japan, but with two breeding facilities in Northern California, we will get to see the processes involved in creating new seed and vegetative flower varieties. This is a once-in-a-lifetime look behind the scenes. Suncrest Nurseries: One of the oldest Northern California nurseries, Suncrest Nurseries produces a broad line of California natives, Australian, South African, and Mediterranean plants. We will see what it takes to propagate this broad line of plants. Syngenta Seed: Based in Switzerland, Syngenta Seed is one division among many. They purchased the Goldsmith Seed research facility from the Goldsmith family. We will get a look at seed and flower breeding. University of California, Santa Cruz: We will visit the UCSC Arboretum & Botanic Garden and see the largest collection of Australian plants outside of Australia. We will also tour their research “Solar Greenhouse” that creates electricity through its covering. Driscoll’s Strawberry Breeding and Research: We will go behind the scenes with one of the largest growers of strawberries in the world to learn what is involved in developing new strawberry varieties that will be commercially grown and marketed in the future. Speedling: We will have a look at vegetable seed production with one of the largest seed propagators in the world and learn about the production of billions of vegetable seedlings. You will not want to miss the 2019 IPPS-Western Region annual conference. We guarantee you will go away with new thoughts on processes and new networking possibilities. More details and registration information will be available in the coming months. 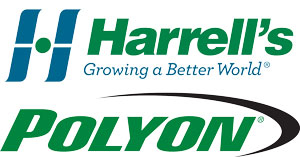 One of the largest distributors of branded fungicides, herbicides, and insecticides in the U.S., and a producer of custom blended fertilizers (including Polyon), specialty liquids, and wetting agents. A leader in the design and manufacture of propagation trays and containers, supplying commercial nurseries and growers with cost-effective propagation products. 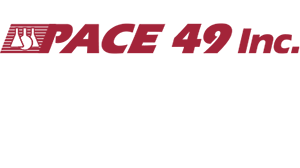 Manufacturer of quality greenhouses and accessories, and a distributor of equipment for commercial, horticultural, and agricultural growers, retail nurseries, and research and education facilities. 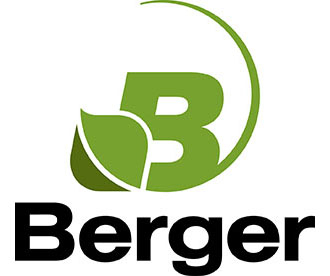 Berger is a worldwide leader in the production of first-quality growing media. For over 50 years, Berger’s team of specialists uses a client-focused approach that meets the specific needs of its customers’ crops. A wholesale grower of containerized woody ornamentals, perennials, seasonal color, greenhouse plants, and succulents with a heavy emphasis on new introductions and unique, improved plant varieties. A world leader in breeding and producing vegetable and ornamental seed and vegetative cuttings. Sakata breeders around the world develop varieties that offer superior performance and set new standards. Syngenta takes a holistic approach and creates integrated, tailored solutions for growers by combining advanced crop protection science, quality seeds that deliver higher yields, and advice based on deep insights into how growers work. A full service company specializing in cleaners and an EPA-registered disinfectant, fungicide, algaecide, and bactericide for the horticulture, agriculture, and turfgrass industries.